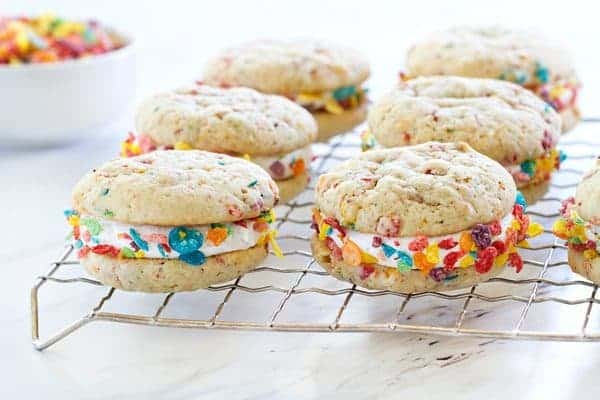 Fruity Pebbles Whoopie Pies are a playful and fruity spin on a classic dessert. 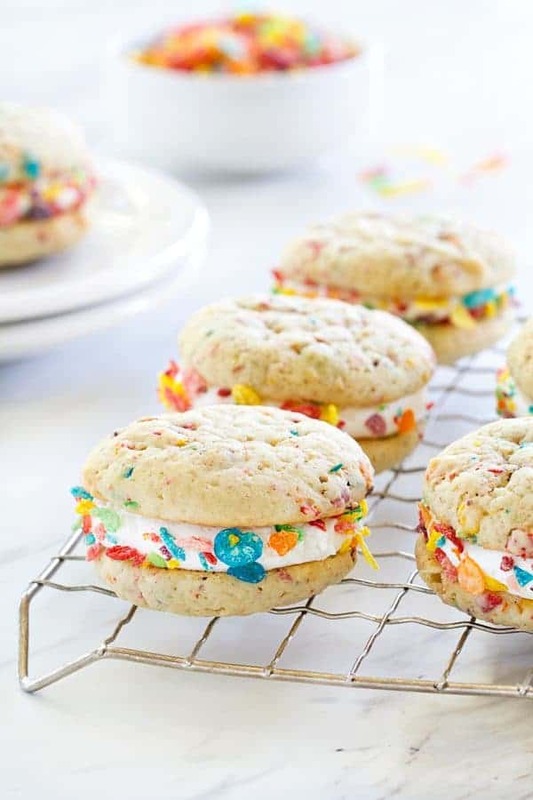 Marshmallow buttercream and Fruity Pebbles “sprinkles” make them irresistible. This post is sponsored by Post Foods®. All opinions are my own. 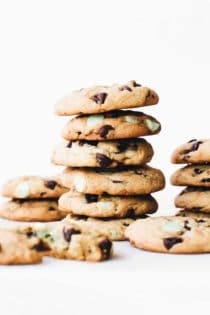 Thank you for continuing to sponsor the brands that make My Baking Addiction possible. 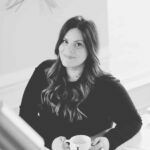 If you’re a regular reader, you know that my husband is pretty much the pickiest eater that I’ve ever encountered. He’s not super keen on sweets (crazy, right?) and most vegetables are a no-go. However, there is one thing that he eats every single day, and that thing is cereal. Even if we’re staying at a hotel, he heads to the nearest store to pick up a box of Cocoa Pebbles and a half gallon of milk. He’s that serious about his nightly cereal ritual. In fact, there are no less than six boxes of cereal and two gallons of milk in our refrigerator at any given time. 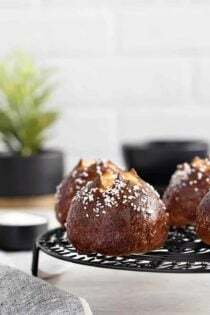 Needless to say, when I was contacted by Post Foods to create and share a recipe with their Pebbles cereals, he was pretty excited – especially when I told him a big box full of Cocoa Pebbles and Fruity Pebbles landed on our doorstop. Seriously, best mail day – ever! 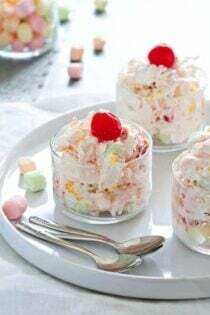 Although I’ve loved Fruity Pebbles since I was a kid, I hadn’t created a dessert with them aside from marshmallow cereal bars, so I was excited to get into the kitchen and create a playful, fruity, and fun dessert. 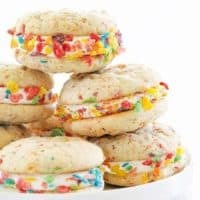 I jotted down so many ideas from donuts and cookies to ice cream cake, but ultimately decided on these Fruity Pebbles Whoopie Pies. 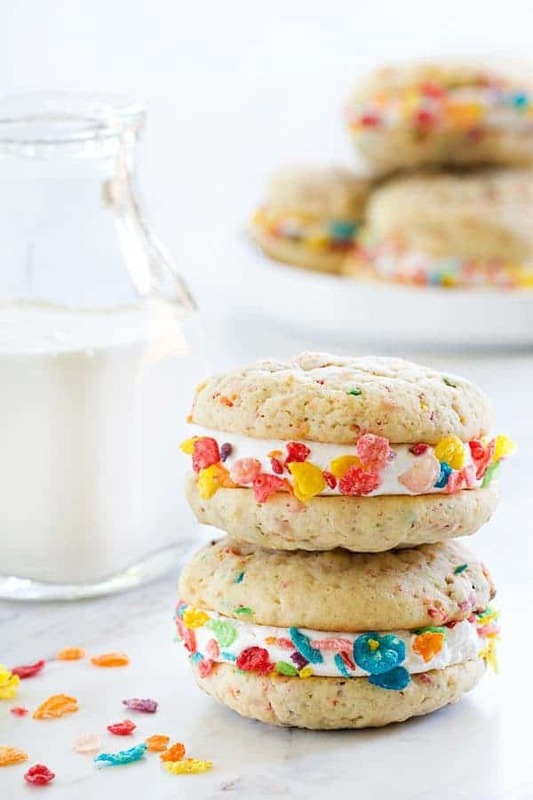 I mean what could possibly bring out your inner-child more than a two soft cookies sandwiched together with marshmallow buttercream and rolled in Fruity Pebbles? 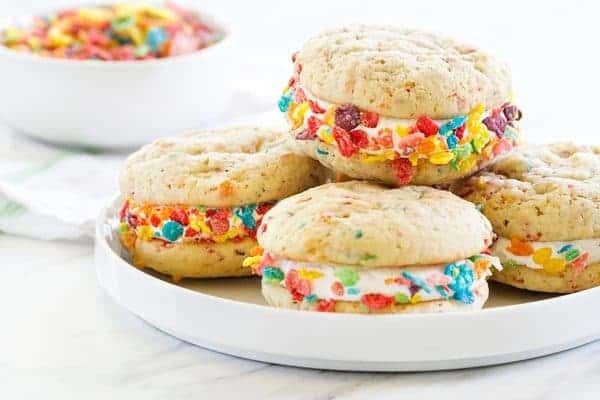 These Fruity Pebbles Whoopie Pies start with soft, cake-like cookies with loads of Fruity Pebbles in the batter. 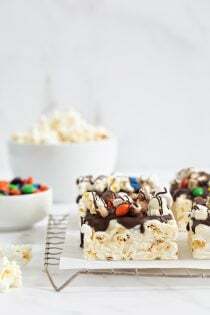 They’re sandwiched together with a super simple, dreamy marshmallow buttercream and then rolled into more Fruity Pebbles – because more is always more when it comes to Fruity Pebbles. 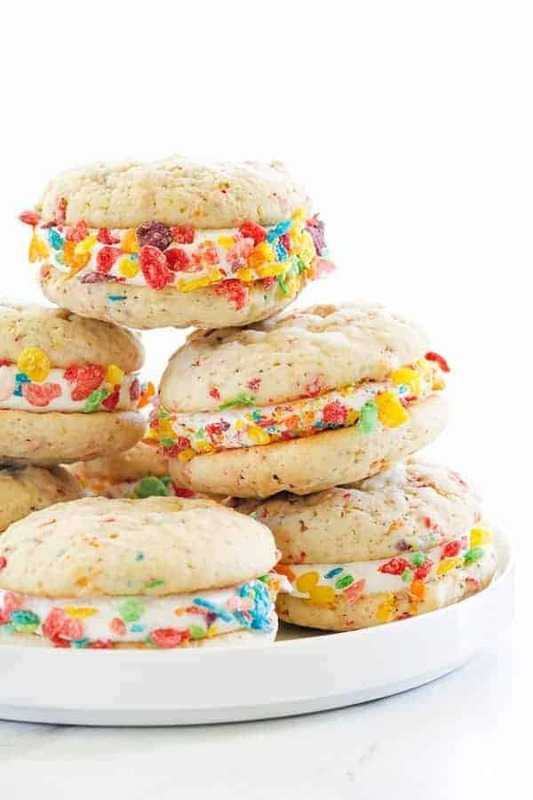 I hope these Fruity Pebbles Whoopie Pies inspire you to think outside the box (see what I did there?) 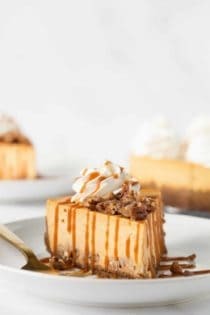 and create a delicious treat that your family is sure to love. 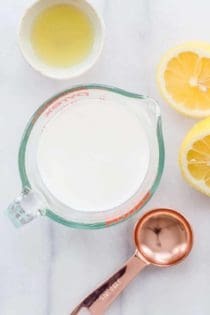 In a medium bowl, whisk together the flour, baking soda and salt. Slowly add the dry ingredients to the shortening mixture and mix until just combined. Use a rubber spatula to gently fold the Fruity Pebbles into the batter. 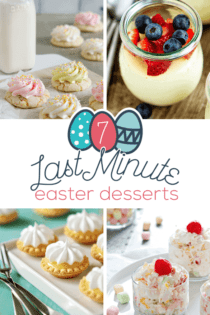 Add in the vanilla extract and marshmallow cream and beat an additional 2 minutes. 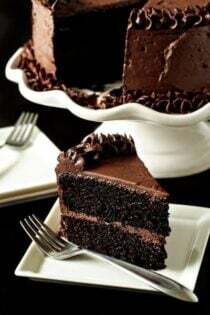 ﻿Spoon or pipe the buttercream onto the flat sides of half the cakes and top with remaining cakes. The marshmallow buttercream will generously fill 16-18 whoopie pies. 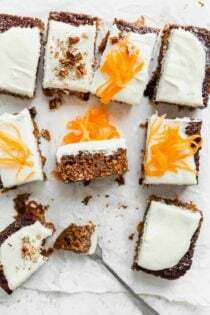 If you prefer less filling, I would recommend cutting the recipe in half. To lightly crush the Fruity Pebbles, place them into a ziptop and gently crush the cereal pieces with your hands. Now you’ve got me craving cereal! 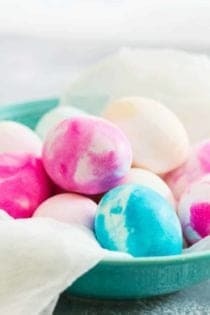 These look SO bright and fun and yummy! We can hardly keep Fruity Pebbles in the house because they are gone in 2 days…baking with them is a great idea! Yes please! These are the cutest! 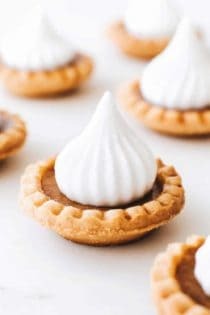 I’m gonna make these. Thank you for sharing. I hope you enjoy them, Christy! These are such a fun idea! I love how colorful they are! 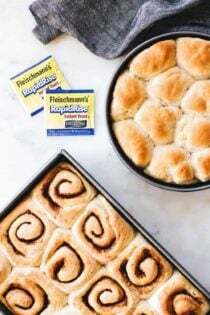 Can regular shortening be used instead of butter flavored ? Hi, Alita! 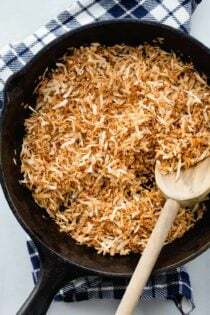 I haven’t tried regular shortening in this recipe, but I think you could. Let me know how you enjoy it! One quick question…Do you think I could substitute real butter instead of shortening? She usually likes chewier cookies, so I thought that might be one way to get the texture. Hello! 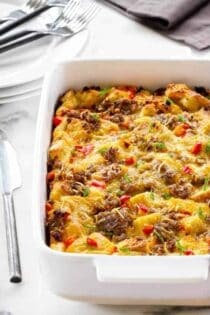 I haven’t attempted this recipe with butter, so I am not sure of the result. If you happen to give it a try, I’d love to know how they turned out. Thanks so much for stopping by.